The National Association of Home Builders and Wells Fargo maintain a Housing Opportunity Index (HOI) that compares median home prices to median incomes in a couple hundred metro areas. 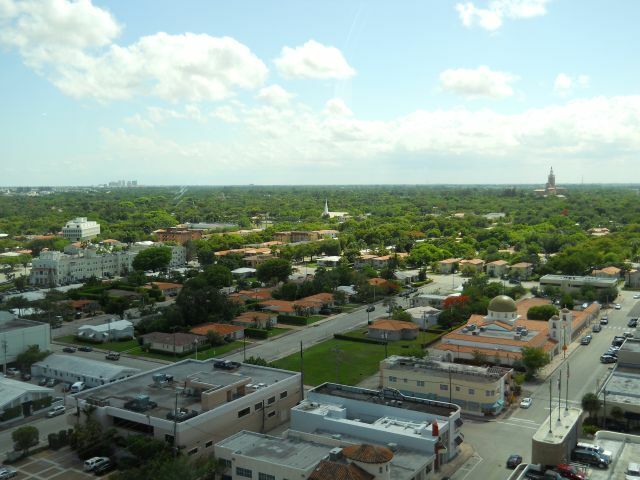 Back in early ’09, the HOI showed that the price-to-income ratio for the Miami metro area was between 4 and 5 to 1, based on 4Q08 data showing a median home price of $225,000 and a median income of $49,200. That was better than the 6-to-1 ratio at the peak, but nowhere near the 2.5-to-1 that prevailed back in the late 1990s, before the real estate mania began. Accordingly, The Real Estate Fountain observed that home prices in Miami and Coral Gables would have to fall another 30% to 50% to return to their normal historical relationship to incomes. And so it came to pass. According to the HOI, median homes prices in the Miami metro area continued to fall, plunging especially steeply as the artificial effects of the $8,000 government-handout program wore off. The median income has risen from $49,200 to $52,200 over the same period — a negligible change compared to the change in median price. Bottom line: In 2Q10 and 3Q10, we hit the old 2.5-to-1 ratio and bounced off it. Make no mistake. The price-to-income ratio is not likely to continue rebounding. 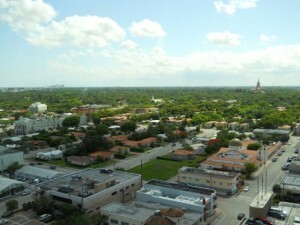 Do not expect another wave of irrational exuberance to goose the valuation of Miami and Coral Gables real estate. Indeed, valuation measures like the price-to-income ratio often overshoot to the downside during a bust that follows a boom. We haven’t even seen that yet. On the other hand, the price-to-income ratio is back near normal, and that takes a lot of the risk out of buying. You may not get rich buying real estate at merely normal valuation levels, but you’re a lot less likely to be ruined. posted by // This entry was posted on Thursday, March 3rd, 2011 at 12:04 am and is filed under Financial Responsibility, Real Estate Market Data, Real Estate News. You can follow any responses to this entry through the RSS 2.0 feed.